Always great to see you having fun with your girls. Hello gals , nice to see having some fun in the sun ! So sweet to see them in your project every now and then! Wishing you could send me some Australian sun... It's cold, rainy and windy here. 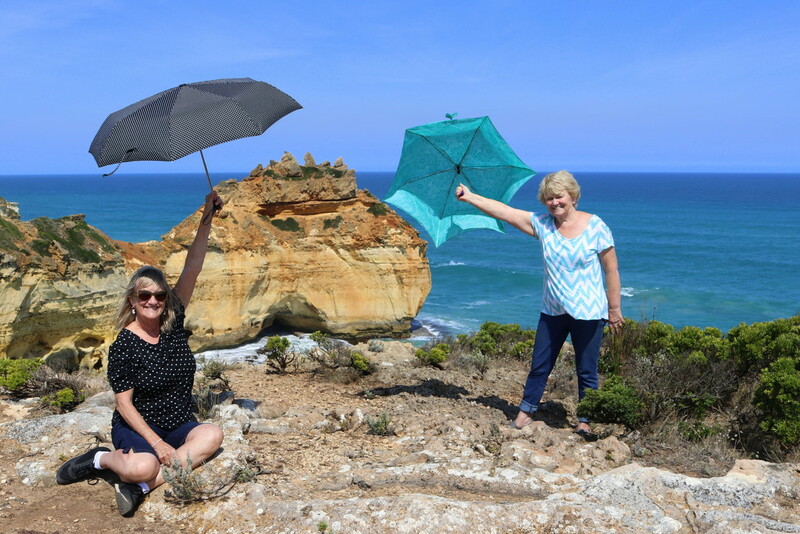 We could have done with the brolly girls here last week, it was so hot. Cooled down now though after some welcome rain. They are doing a great job. Funny capture of the Ladies . Lovely to see the brolly girls again nice capture. Think you'll need a little bit more shade than that. :-) Nice capture. Great to see they're keeping out of the UV. Love it.